What Is Mint.com All About? First and foremost, as of this current writing, the services of Mint.com is only available to citizens of United States and Canada. The rest of the countries may have to wait. But nonetheless, it would be good to take note of this site. Entrepreneurs with the resources may want to consider developing such a similar site to gain benefits from it. So What Is Mint.com All About? In simple terms, it’s all about learning where are all your expenses going to and helping you to understand the significance of your spending. It is also a Budget Planner site. And as you know, Expenses and Spending are two factors that may affect your Proper Financial Planning. If these two are not monitored and under control, you may find difficulties in achieving your Financial Objectives. You will be able to download your Transaction History from your Bank Accounts and Credit Cards. 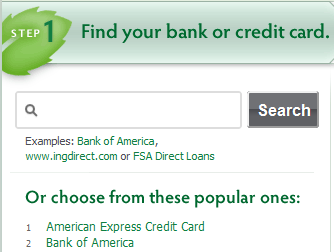 Once you have your accounts in, you can have Mint.com access your transaction information. And you do not have to worry of any illegal access to your money as Mint.com is a read-only system therefore moving, transferring or altering of your accounts is impossible. 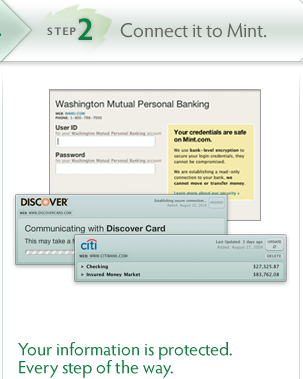 Your Login Credentials and Financial Data will still be protected under your Bank’s Internal Security. All the stats and details will be processed in a very nice graphical interface and it’s also easy to understand! And if you have a SmartPhone, you can also access your Mint.com account on it. 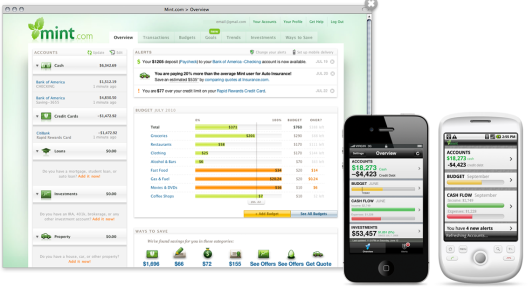 In this manner, you can always monitor your expenses and budgets on the go! If you are staying in the United States or Canada and have yet to try out Mint.com for tracking your expenses and budget, it’s worth trying the site out today! For all my readers who are not from these countries, do stay tuned for their availability as well.